As someone who frequently hops onto new and/or pretty small Indie games (as well as some bigger games), that are not yet in the Player.me or Beam databases, I'd like to be able to set my currently streamed game to null as to not having to stream under a different game or a tag like "Podcast". Use BeamBot to mark a highlight on the VOD. Use a command like !mark to put a timestamp on the VOD for easy editing and highlight making. Why not an Artwork Showcase in the forums, just like there is a Developer Showcase! Allow streamers to give away there sparks in stream giveaways. Allow streamers to use their spark balance as a giveaway feature. Watching so intently that you forgot the hot dogs have been boiling for 20 minutes? Then this feature is needed DVR feature allows you to pause, rewind, and play from any point in the stream. Once you resume playing, the Stream will start from where you hit pause, so you won't miss a thing. Pause: Click the pause button when you need to take a break. and the stream will begin streaming again from where you left off. Seeking: Miss something? Seek back and forth in the stream by dragging the scrubber backwards and forwards. You'll see the time stamp change as you move the scrubber around, so you'll know where you are. Live: Ready to get back to the real-time coverage of the stream? Just click the Live button, and we'll take you there. plz fix the borders i kinda get sick watching it. or atleast a profile option to turn it off. is disorienting. i think it would be better without any flash effect. Is it possible to have the option to include male or female symbol next to our name in chat? A lot of viewers and streamers pronounce my name as Dennis Chip (DeniseChip) and guess that I am male. I am not. Denise is a female name and not a well known at that. I do not want to embarrass anyone by correcting them all the time but this would certainly help with unusual names that are not recognised as male or female. I personally think a male/female symbol next to our names would be a good idea to stop any confusion or guessing. I like being able to just type a name in and press tab to complete it, similar to twitch, we do already have this in the system, but I believe it could be improved based on other implemenations on other sites. When the description of a stream is a bit longer, it shows the full description when the link is embed (test on Discord), which looks really really weird. Couldn't we decide or use something like the twitter:cards? Lots of people want the ability to change the color of their name in chat, but Matt and James have repeatedly said it's not the direction they want to go in for the chat experience. As an alternative, why not come up with a series of icons, similar to the Stanley icon that graces the Staff names, that can be purchased with sparks, and that a user can then choose to have adorn their name? Add a "Creative" Category for streamers! A "Creative" category would be an awesome addition to Beam! In the category people could draw, photoshop, paint, create music, etc.! You have XP for leveling up, how about some items?! To encourage watching streams, how about giving users/viewers a series of items to unlock and collect, items are reminiscent of favorites from the last 30+ years of gaming. It will work similar to Sparks but items will be distributed at random and not at a set time duration, the better the item, the more rare it is that it will drop. Every user will have a Backpack that will serve as the inventory for all the items. Users can trade items with each other or sell/buy them for Sparks, another cool idea would be to craft them. Monsters or bosses can appear at random while streaming and users canuse their items to defeat them, once the monsters/bosses are defeated they can drop Sparks or items for the users and they can gain XP. Think it would be hugely beneficial if we had a public bug tracker using Jira or something similar where the community can report bugs and monitor whether their progress. Would help in ensuring bugs are tracked, try to prevent multiple people mentioning the same bug, and would also enable people to add comments on how to produce the harder bugs! 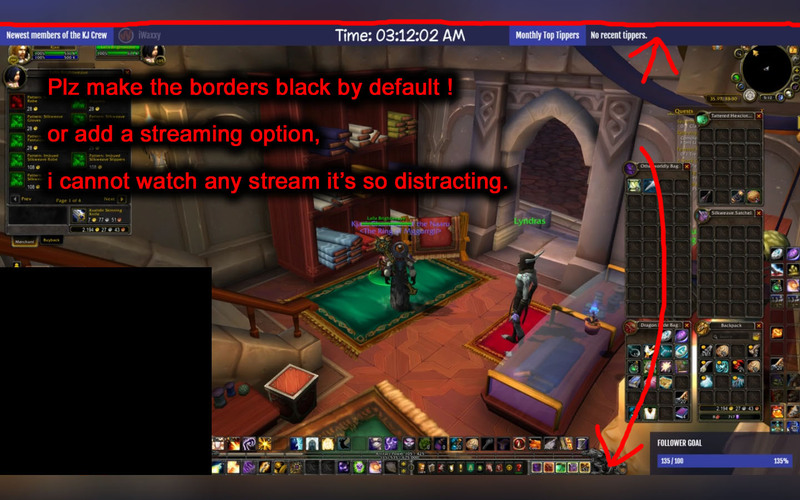 I think it would be nice if we could label interactive streams not only with the game that's played there but also with what kind of interaction the user can expect. Either if it's interaction with soundboards, a moderated hybrid-like stream, where users can interact while the streamer also interacts with the game (like in Minecraft streams) or something like fully automated streams (like Youplay) where the users alone have control over what happens. Currently there seems to be a cap of 3500 Kbit/s when streaming with rtmp. I use OBS because of its hardware encoding capabilities and have an upload bandwidth of 10000 Kit/s. Since hardware encoders aren't as efficient as software encoders I have to use a higher bandwidth for comparable quality. Streaming 1080p in 60fps doesn't really look good with max 3500 Kbit/s. So I really would appreciate if I could use a higher bitrate when streaming. Could we please have the ability to put a facebook PAGE as the url for the team, instead of the requirement of a PROFILE?